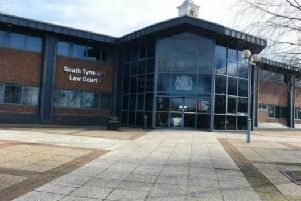 The case was heard at South Tyneside Magistrates' Court. A successful businessman has been banned from the roads for a drink-driving offence after crashing his van. Wayne Coxon hit a parked car within a mile of his house in Houghton. Coxon left the immediate area of the crash, but was arrested after parking nearby. "A resident of Dunelm Drive heard a crash," prosecutor Lesley Burgess told South Tyneside Magistrates' Court. 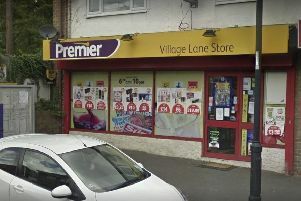 "He looked out of the window to see a white van had hit his car, then hit the kerb and driven off. "Police were called, Coxon was arrested nearby. "He was frank with officers, telling them he had drunk four pints before driving the short distance home. "His breath alcohol level was found to be 96, the legal limit being 35." Coxon, 31 ,of Witton Grove, Dairy Lane, Houghton, admitted driving with excess alcohol on March 28. Robin Ford, defending, said: "As I always do in these circumstances, I will start by saying I've known Wayne as a friend for many years. "He runs his own electrical business which is going great, he employs four or five lads in Houghton, and has plans to expand into Sunderland. "There had been some problems with a former employee, who Mr Coxon thought he had dismissed properly, but ACAS became involved. "Mr Coxon had argued with his partner that night, and stayed out longer than was wise." Mr Ford said Coxon was 'devastated' by what had happened. "Having made a poor error of judgement he has tried to do the right thing," added Mr Ford. "Mr Coxon has been to see the owner of the car he clipped, and he has paid for the damage. "He was honest with the police, a cynic would say too honest. "A driving ban will hit him hard, men may have to be laid off, although he may be able to employ a driver to enable him to continue running the business. "Mr Coxon will pay any fine straight away." Coxon was banned from driving for 23 months, and ordered to pay £1,001 in fines and costs.